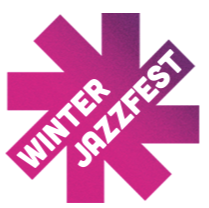 The Winter Jazzfest is back and with it returns the old debates of “what is jazz?” or, more precisely, why call this a jazzfest? Over the years I have sometimes wondered how much of this event is really just a weeklong pub crawl featuring some occasional music. Local people I asked did not even know that there was a music festival going on. This is bad news, considering that I was at The Stone the first night of the festival when I asked this question. Comedy aside, to some extent this is a shame as there are many exceptional musical performances that have been happening over the past week. On January 5th, I attended a pair of shows, which I will summarize quickly. Ghost Train Orchestra Plays Moondog at SubCulture. According to the band’s website, this was the first public performance by Ghost Train Orchestra of this music. The material consists of big band arrangements of the songs of Moondog. Moondog, as you may recall, was a polymath who built instruments and worked in wide range of musical styles. He was also something of a street performer, having been known as “The Viking of 6th Avenue.” This was a fun performance by a group of exceptionally talented players including Mazz Swift, Curtis Hasselbring, Brandon Seabrook, Rob Garcia and Andy Laster. Honestly, I had no idea that this performance was happening until it was about to start, and this was a very lucky accident indeed. Amir ElSaffar’s Rivers of Sound at the Sheen Center. A seventeen piece band with so much going on that I can’t really claim to have been able to process it all. The leader splits himself between trumpet and santur. The band is similarly divided between western instruments and those more common to Middle Eastern traditions. But there is more here than that. I get the sense that this is a group concept that will continue to expand as the composer develops these arrangements over time. English horn and oboe are not first call instruments in either tradition, and I think that their placement here demonstrates that ElSaffar is less concerned with exploring an old idiom than he is in fleshing out his own vision. It will be interesting to see where this goes. Often, when I discuss music with knowledgeable friends, we will use the band members’ names as a shorthand to express what was on offer. Knowing, for example, that this band included Miles Okazaki, Dan Weiss and Aruán Ortiz may give you some ideas, but in this case that probably is not as helpful as it normally might be. Here the musicians’ abilities are subsumed into the needs of the arrangements, and the music is an expression of ElSaffar’s unique soundscapes. Ben Goldberg’s Unfold Ordinary Mind at NuBlu on January 7, 2019. As Ben Goldberg pointed out early in his set at NuBlu on Monday night, part of the rationale behind this band is to incorporate his work with the contra-alto clarinet. In this context the contra-alto clarinet functions to undertake the duties normally performed by the bass. The result forces the listener to ask questions about the way a rhythm player works in the context of this band. Unfortunately, the trade-off is you do lose the opportunity to hear the leader as soloist. In recent months, I have had the good fortune of getting to see Goldberg frequently and that has meant watching him seek out opportunities for the less common members of the clarinet family. One example was a pairing he did with Kurt Knuffke. Sadly, my trainspotting is not good enough for me to remember exactly which horns were paired on that date. I have also seen his recent Steve Lacy project where he has taken the opportunity to consider the use of intervals. You can see how Goldberg’s methodical approach informs all of his projects. Assisting Goldberg here was an all-star band which included two tenor sax players, Donny McCaslin and John Ellis, guitarist Nels Cline, and drummer Ches Smith. The band played several compositions from the 2012 recording from which the group takes its name. The compositions had a strong element of swing, and the energy level stayed high throughout the performance. Cline’s playing was of particular interest as he showed his enormous range of ideas for the electric guitar. Even for someone as reliably diverse in his playing as he is, his performance covered so many different aspects of what he does as to act almost like a career retrospective. It was a staggeringly impressive display. Each musician in Monday’s set displayed their incredible talent and versatility. Even a cursory listen to what Ches Smith was doing prompts the listener to reckon with the immensity of his skills. The pleasure of just getting to hear these two sax players, McCaslin and Ellis, to trade off a bit was itself enough to have made the evening worthwhile. Going back to my earlier comment, in this case knowing which players were involved definitely enables the would-be listener to get a sense of what the performance was like, as each player infused the music with his personality. After coming to New York City in 1983, Eric Stern has practiced law by day and followed the improv music scene by night. He presently coordinates the House of Improv which organizes monthly performances.